A last-minute bill from the governor shouldn't derail a process that involved hours of meeting between many stakeholders, and which produced a thoughtful proposal. For months, a legislative committee, along with caregivers, advocacy groups, public health experts, law enforcement and others, did the hard work of turning Maine’s vote to legalize marijuana into a bill that considers all their points of view. The bill, which will be reviewed by the Legislature starting Monday, balances those sometimes conflicting views. It sets up a regulatory framework that prioritizes Maine business owners, provides significant tax revenue while curtailing the black market, protects children, and gives police the tools they need to contend with marijuana as a legal drug. It’s not perfect, but no legislation this size could possibly be. It’s likely we don’t even know where it will fall short, but even that is predicted, with a commission set up to continuously analyze the law’s effects and suggest adjustments. The thoughtful, comprehensive bill is what the committee was set up to produce, what it spent hours upon hours working toward. The Legislature should honor that with approval, so that Maine can get on with regulating — and collecting tax revenue from — a large industry that remains in the shadows. The bill’s future, however, became a lot more clouded with the announcement last week of a competing measure from Gov. Paul LePage and Ken Fredette, the House Republican leader. The governor’s bill would extend a moratorium on retail sales of marijuana until Jan. 1, 2019, with the purported goal of giving the Legislature more time to work through complicated legislation. But don’t be fooled — this is nothing more than an attempt to subvert the will of the voters and stop an initiative the governor disagrees with. LePage has played no role in putting together the committee’s bill; in fact, he has actively tried to scuttle it. Despite the committee’s many attempts to reach out to him, and in defiance of his role in implementing a law passed by the voters, LePage was absent. His office and many of his agencies refused to take part in the committee’s work, failing to appear at hearings or even answer written questions sent their way. LePage is now using his own lack of interest in governing as a reason to slow the process. Fredette even had the gall to tell MPBN that the moratorium is necessary because LePage wasn’t involved in the committee’s work, forgetting to mention that his exclusion — the dereliction of duty from Maine’s chief executive — was completely the governor’s choice. 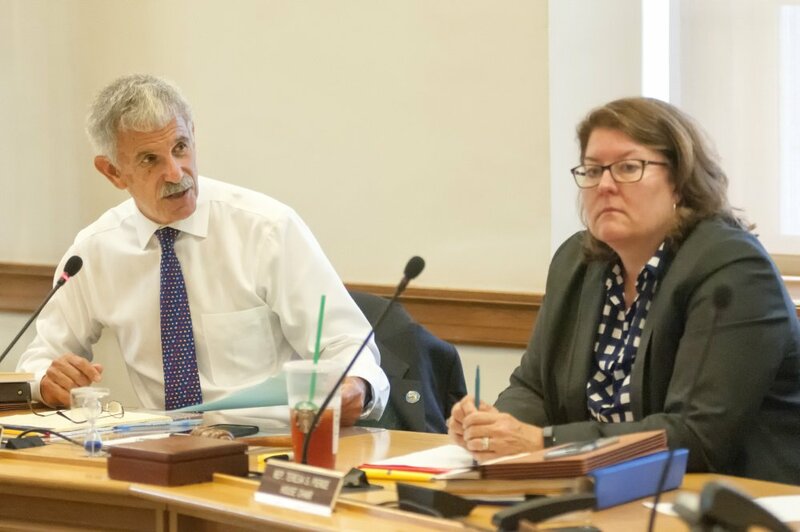 And while the pair apparently had concerns about the committee’s process, they didn’t take those concerns to the committee — Sen. Roger Katz, the committee co-chairman, first heard about the last-minute bill from a reporter. As we speak, marijuana is being grown, sold and used — LePage and Fredette can’t stop that. But they can bolster the black market, and inject more uncertainty into a process that already has communities scrambling for information. If LePage’s bill passes, it would push off regulations on retail sales even longer, allowing illegal growing and sales to flourish in its place. If neither bill passes, the law approved by voters in November, with its flaws and biases, will go into law. That leaves the committee’s bill, informed by many voices and hours of thoughtful debate and discussion. For months, Mainers concerned about this significant change in state law worked together to find the best way forward. Their efforts shouldn’t be pushed aside on the whims of those who couldn’t be bothered to take part.